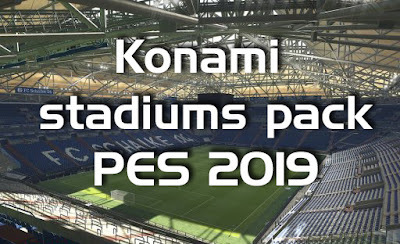 this is an alternative stadium pack for execo19, works on any patch 19 versions, in this pack we included only the stadiums made by konami. Whats the difference with the stadiums included in smoke patch 11.0.5? Whats the similarities with the patch stadiums? If you install these stadiums, then the stadium of FC Juventus will disappear or become worse quality than now at 11.05? I am very sorry for my questions! Will the FC Fiorentina Stadium be fixed? Now the stadium is designed as an inter milan stadium. These stadiums are not installed. Always people complaining: they get a big patch with all the stuff updated and working, FOR FREE, and still they complain about three extra stadiums they don't want to see. Does that mean there will be no old trafford or it is replaced by old trfford made by konami? Konami did not make Old Trafford because Manchester United is not a licenced team. Thank you Smoke team that's exactly what i wanted. Hello! Why all stadium grass pattern are same! I choose different stadium but all are same. How to fix? thanks for this! i don't like new added stadiums so this is perfect. Please Fam, can you find The Santiago Bernabéu? it's only the home for the biggest football club in history. It breaks my heart not having it on my favorite game. Thanks for the quality of your patches!